Hey everyone! Hope you had a lovely week. I seem to be posting weekly now and that was not the plan. *sigh* I had a normal week, business as usual. To pass the time, I did something I haven't done in a while (about 6 months!!) I drew. 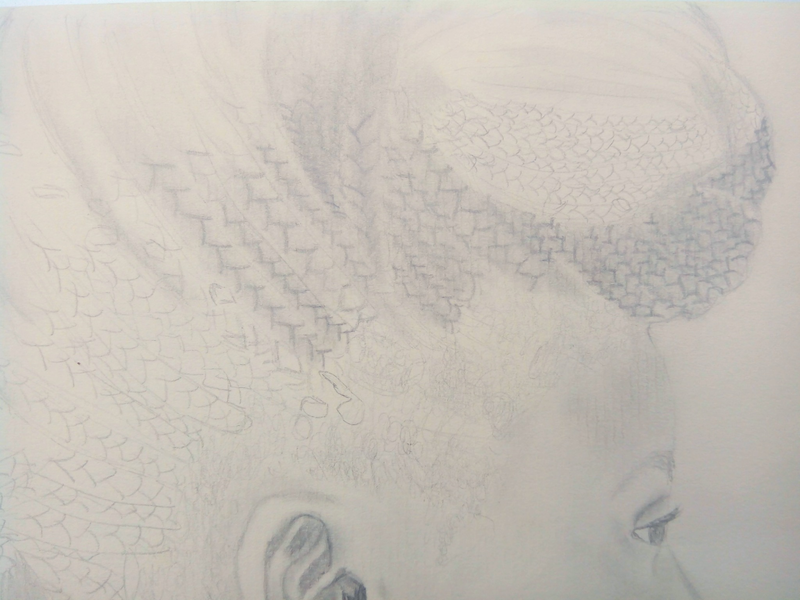 I love the angle of the picture and the braids (even though they are so hard to draw). I am not an artist(obviously), I just started drawing recently. The first thing I drew (apart from organs of the body and other school stuff) was Ben 10's face. No, I am not joking. It was not half bad so I tried to draw other things and since then, I have improved greatly. I saw this picture as a challenge and was quite excited. 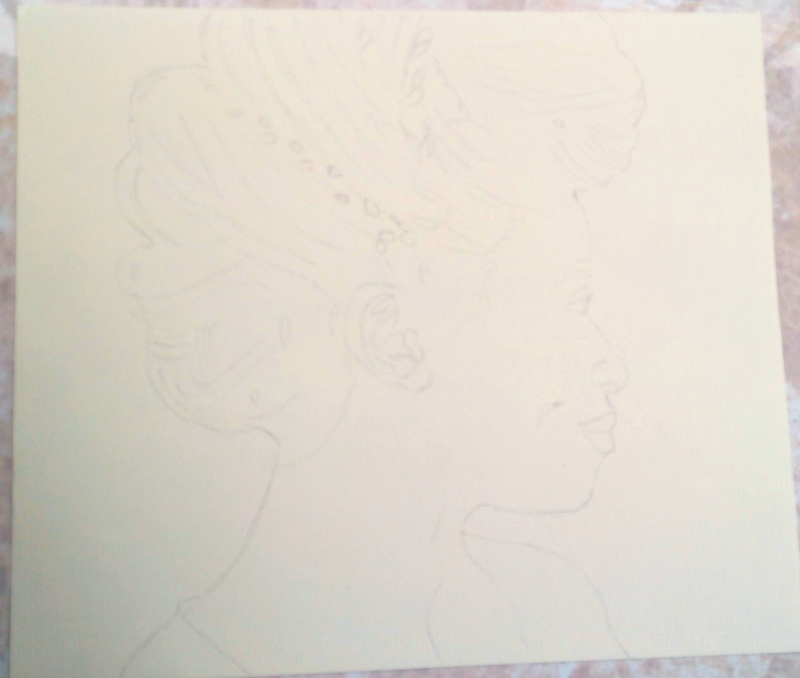 The first thing I do is get the outline right. As far as I'm concerned, this is the most important part of the whole process. If you're going to shade a nose and give it life, it should at least have a semblance to the person's nose you are drawing. 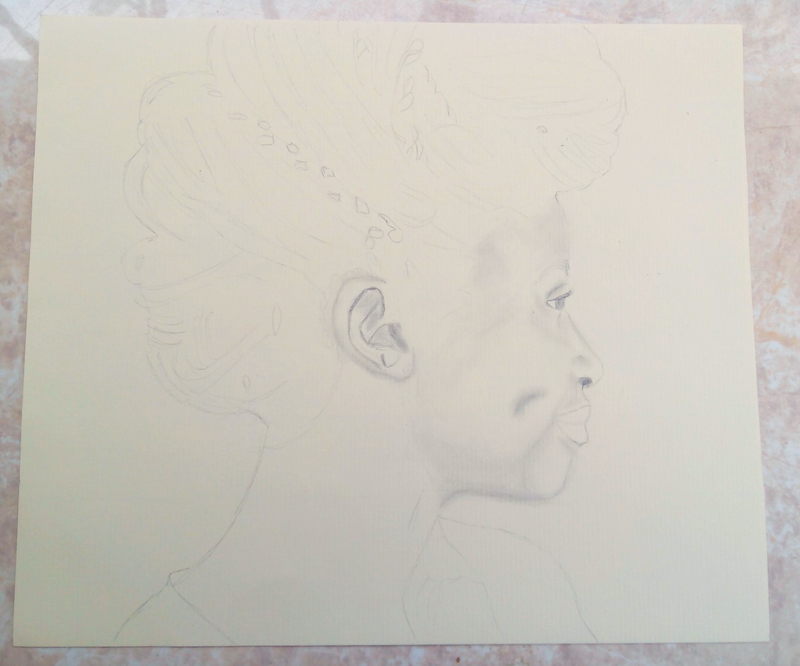 The little details really matter in pencil portraits- The slightest mistake and boom it's not the person's face anymore (learnt that the hard way when I tried drawing Beyoncé's face from a Pepsi bottle. It didn't look like her. At all). Once the outline is done, the rest is not that hard really. It now comes down to observation skills. 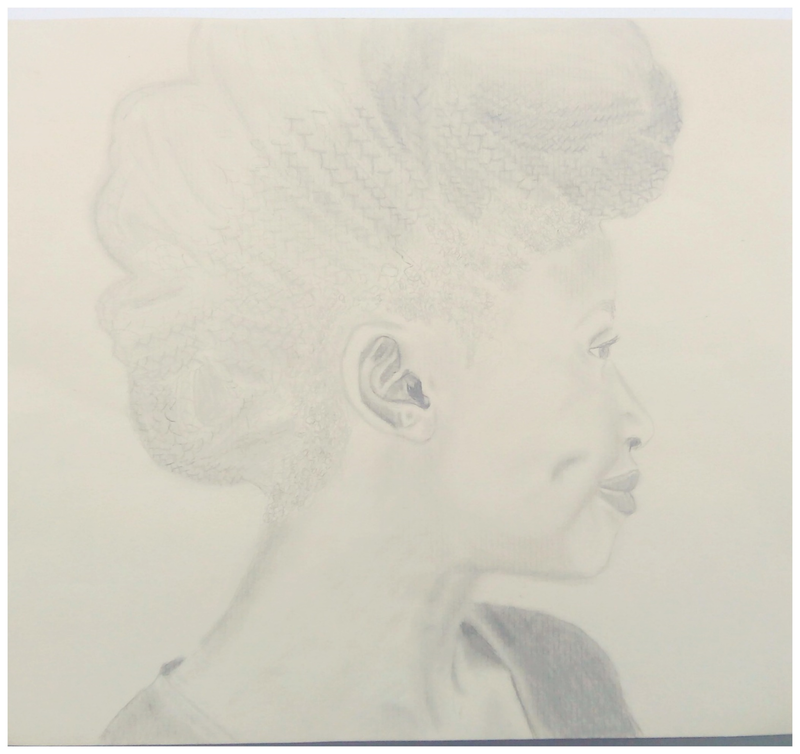 Shading gives the portrait a 3D look, it makes the drawing come alive. I have problems with shading but I am working on it. So I did the eyes, nose and cheeks. How cute is that dimple?! 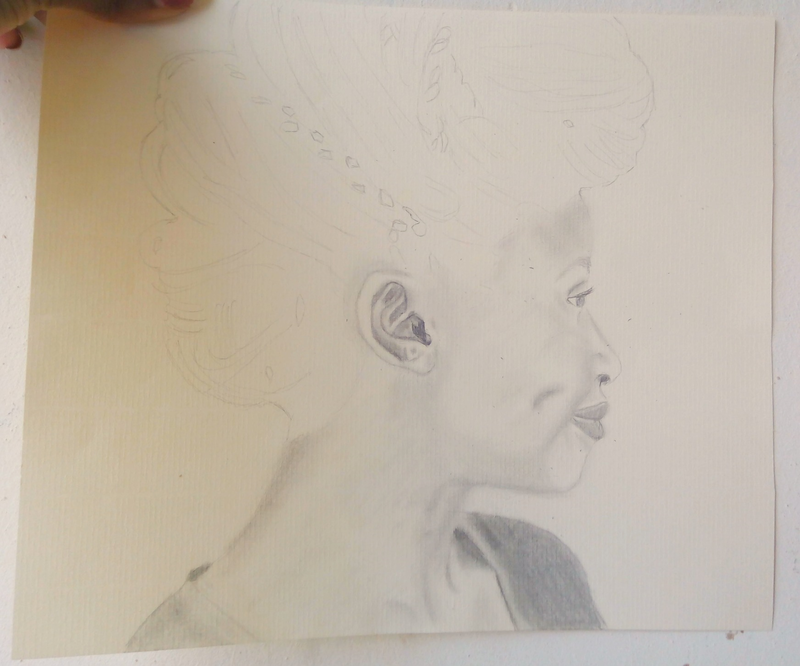 Was really scared of doing the ears- Lotsa details mehn. Touched up the nose again. Tried to reinforce the cheek and dimple. Did the lips, neck, collar bone and blouse. 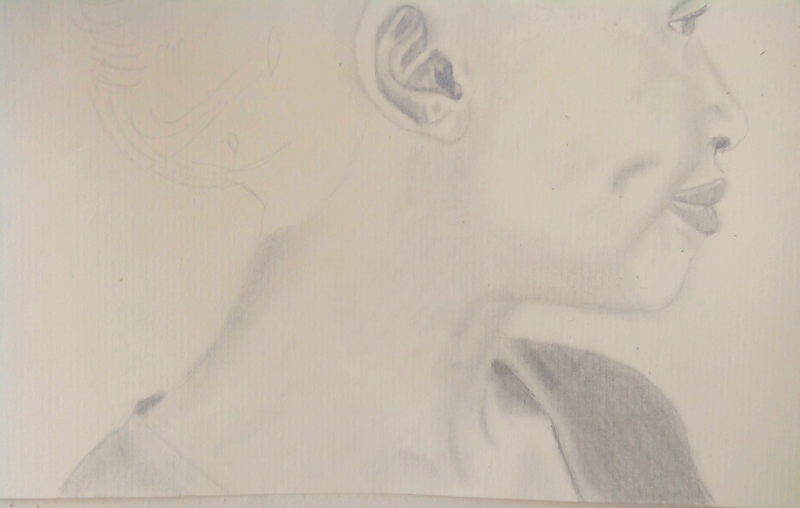 I have to say, I really enjoyed doing the collar bone and neck. 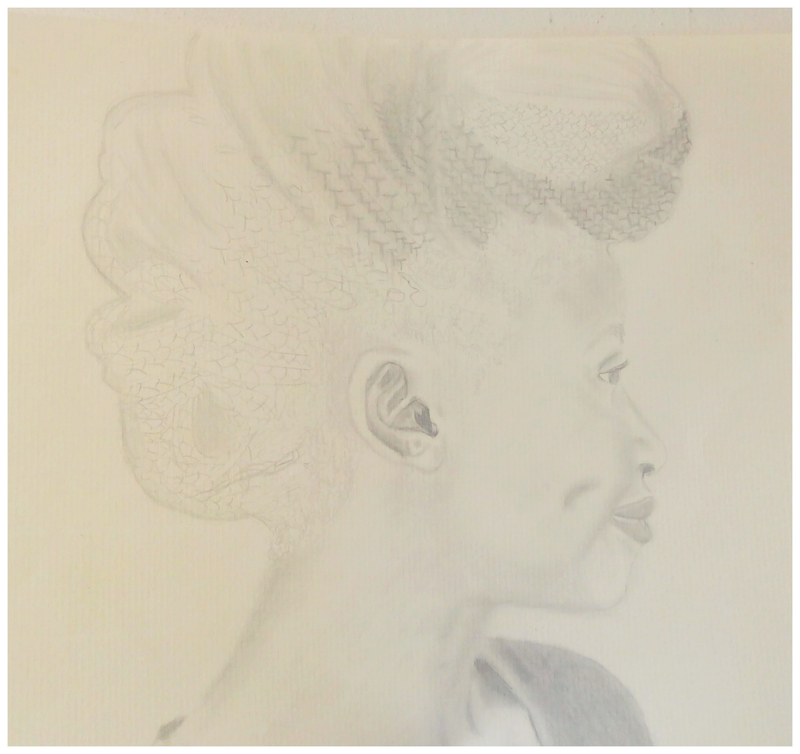 I had to really look at the picture to get the shading right. I think it worked to an extent. 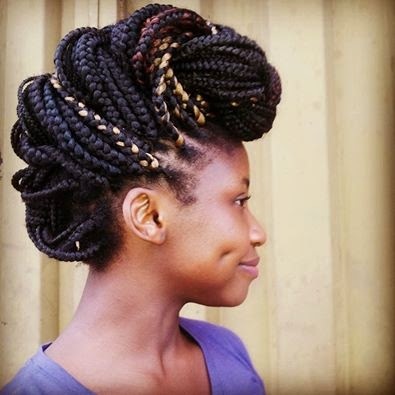 Started on the braids. *sigh* I really hate this part. 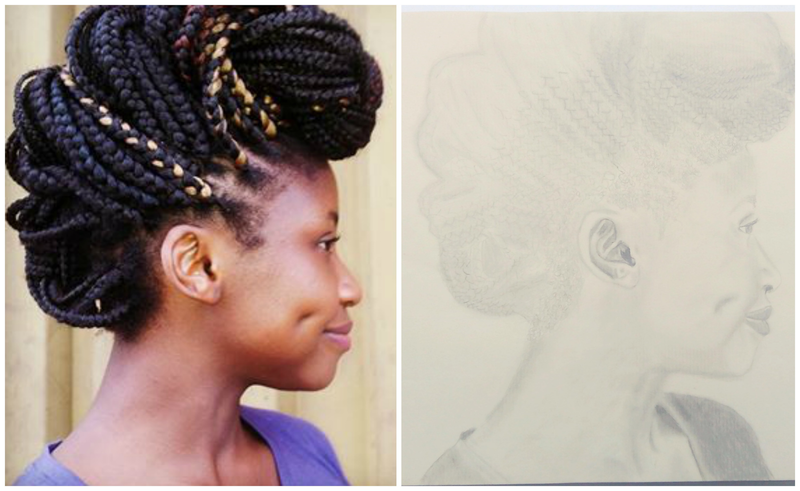 Was considering not drawing the picture because of the braids. 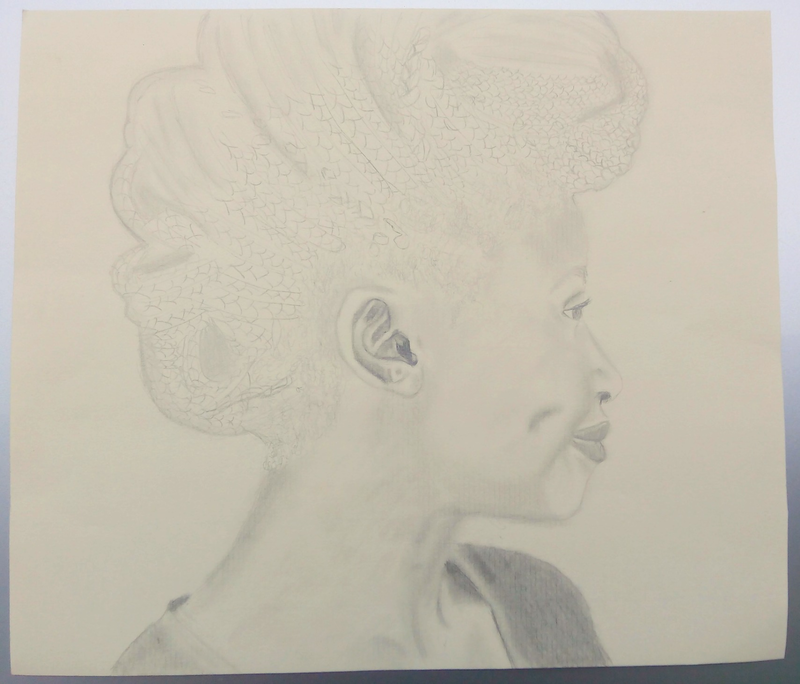 In fact, I was supposed to draw my other friend but her braids were twisted. NO WAY I was drawing that. Tried it one time, by the time I figured out how to draw it, I was exhausted. ...then decided to cop out by using a fading effect. When in doubt, FADE AWAY. I realize it's looks very unfinished but... it looks kinda artistic and mysterious (to me anyway). Looking forward to more challenges...may be I'll try drawing a baby? Nothing like a girl with talent. Thank you! I enjoyed reading it.